Unique square form gives you the versatility of top spiral or side spiral. Great for mapping out projects and taking notes. Make your notes more effective with grid paper! 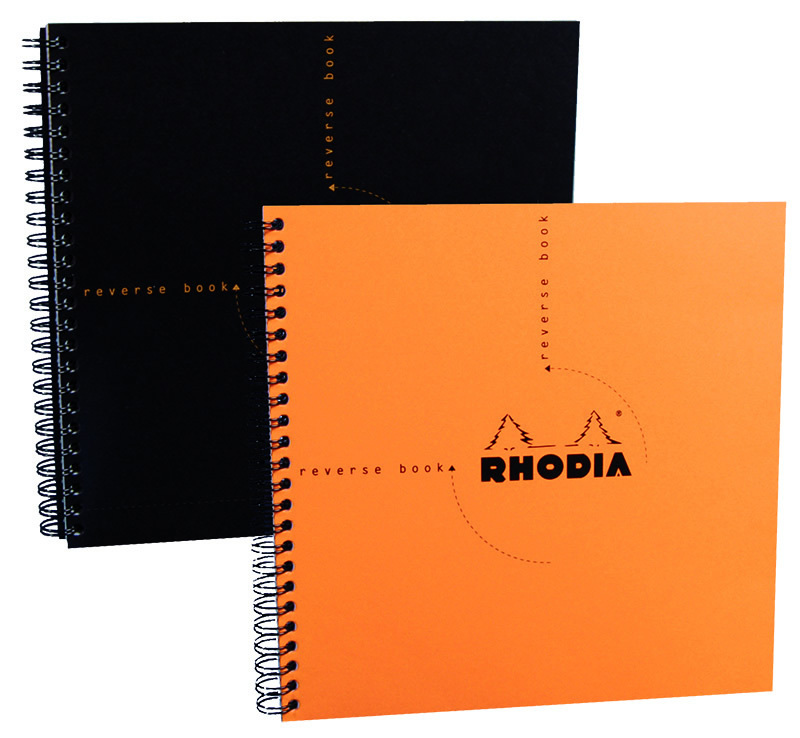 I love the Rhodia Reverse Book. Not only is it great for "lefties" in our workshops, it's a great size and graphics for creative mapping, note-taking, drawing, etc. And, as usual with your paper, it lets me play with my fountain pen without bleed-through ! Copyright © 2019. All Rights Reserved. Website by Checkmate Productions.